Living history is woven tightly into the fabric of American tourism. Places stage culture for the visiting public, often donning costumes and sometimes “getting into character.” Yet tourists have always sought more than spectacle, choosing participatory travel experiences whenever possible. Literature, film, and television stimulate travelers to seek out places associated with fiction, and here, too, tourists like to immerse themselves in imaginary place. Highlighting a North Carolina tour company that builds upon the current zeal for the post-apocalyptic film The Hunger Games, a recent Reuters article explores the popularity of literary and Hollywood tourism, pointing to the increasingly sophisticated packaging of experiences that let the consumer walk in a character’s shoes. Almost a decade ago, the late historian Jim Weeks argued in Gettysburg: Memory, Market, and an American Shrine that a new breed of tourists called “image tribes” was redefining how people approached places like Gettysburg. With an interest in Gettysburg bordering on the fanatic, such tourists yearned to feel what Civil War soldiers must have felt in the heat of battle. Earlier contrivances like marble statuary, observation towers, and even self-guided tours simply wouldn’t cut it in this heightened pursuit of “reality.” They longed to be, not just see. Though fan tourism is sometimes ephemeral, simply a passing fad, it can also prove transformative for places. An outstanding example is Savannah, Georgia, where the John Berendt novel-turned-Hollywood blockbuster Midnight in the Garden of Good and Evil almost instantly cast a Southern-Gothic glow on the centuries-old city of moss-hung live oaks, azalea-studded squares, and gracious homes. Indeed, a cottage industry emerged in Savannah, a city that trades on seeing history, to serve the many visitors who wanted to recreate the aura of the film – to be transported into fantasy. The once-obscure but instantly iconic Bird Girl statue even had to be removed from Bonaventure Cemetery to a museum for safekeeping. If tourists no longer swarm the city to “live” the Midnight story, they still go in steady numbers, enough to support dedicated Midnight tours and haunted knock-off tours. It is difficult to tell how long the popularity will endure. More than a century ago, George Washington Cable’s short stories set in the New Orleans French Quarter created several popular attractions, but after a few decades these faded (in contrast with the enduring appeal of Faulkner’s placemaking). As several of our contributors make clear in American Tourism: Constructing a National Tradition, literary, film, and television sensations have a long history of imprinting on tourist destinations. From James Fenimore Cooper’s 19th-century novels’ singular role in putting Cooperstown, New York, on the tourist map to the TV western craze’s impact on Tombstone, Arizona, in the 20th century, fan tourism is longstanding and pervasive. Like other tourist pursuits and tourist destinations, this one shows that in tourism, fantasy and reality are not necessarily polar opposites but rather bend around until they become inseparable. These sites are such a strong draw for tourists. I would have liked to see the hotel where Dirty Dancing was filmed and now it has burned. 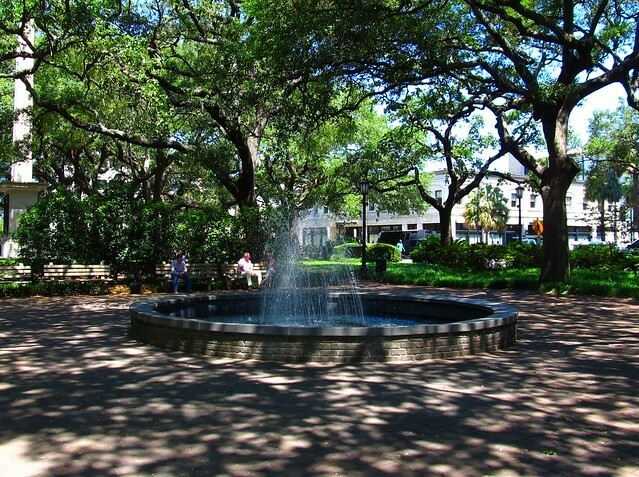 People want to sit on the bench that Forrest sat on in the park in Savannah. Aiken, SC became popular after the movie Sleeping With the Enemy. The list goes on forever as does the desire to say, “I’ve been where……”.